Replace your original bent hood hinges with these superb quality reproduction hood hinges for 1970-81 Firebird and Camaro models. Original hood hinges can bend or become damaged. To maintain the structural integrity of the hood, they should be replaced. 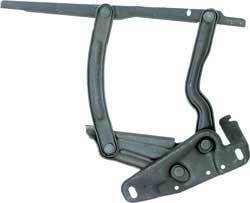 These hood hinges will work properly and offer years of dependable service.